 I've been having trouble indenting number lists. However, with perseverance I found a 'text ruler' that does the job perfectly. Just putting this post up to help anyone else who's wondering how to adjust margins, without playing around with the text box. File attached. Don't forget to update the style. Great feature thank you Serif! 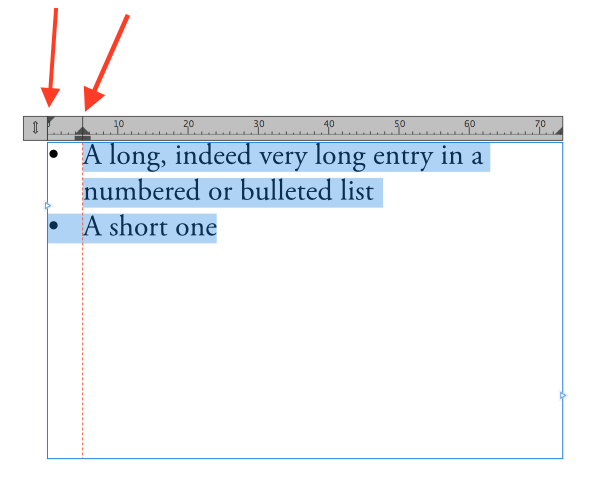 Indenting paragraphs can be done with the Spacing section of the Paragraph panel. We didn't duplicate those options in the Bullets and Numbering section, to save some screen space as we hoped it wouldn't be necessary. Thanks for the reply Dave. I just tried that. I found it a little fiddly though and would certainly prefer this feature to be in the Bullets and Numbering section as I use a lot of lists in my work. Tough call this but I tend to agree more with Dave. Spacing is more generally a paragraph wide issue and Bullets, Numbering fall under that. Of course, now that I can set my defaults (no style) the way I want them I shall change the indents your way and save it as a style. Thank you again. The trouble I'm having is when a list item runs on to a second line, is getting the left margin (assumed left aligned) of the second line to align with the first line. Ie, I want the bullet / number / letter for the list to be to the left of the left hand margin of the text. Am I just being dumb or is this not currently possible? I believe you will have to solve this by applying a global negative first-line indent to your list. You should be able to set the bullet tabstop position to be the same as the left indent. I don't seem to be able to get any of the tab setting to work within the bullet / numbering settings. Maybe I'm just not doing it right. Does your bullet text actually include a tab character after the bullet? If not, you can add one by typing \t. If that doesn't help, can you attach a document that you think should work but doesn't? Here is a short video I made. It should explain the procedure quite clearly. As Dave said, it is important that you have a tab after the bullet in your settings. 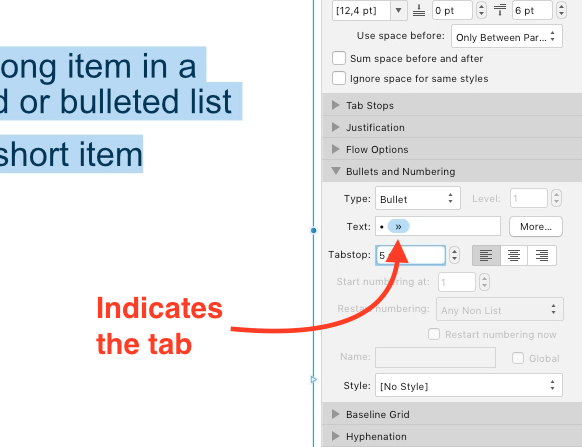 The presence of a tab is indicated by the blue >> icon in the Text field of Bullets and Numbering. Thanks for this and indeed it does work. It turns out the problem I am facing is related to the settings applied in the text styles panel. If I try to set up a List text style, I cannot set a Tabstop distance. It defaults to '[No change]' which I presume means it is inheriting from the parent text style. I have now though, managed to set the style by creating the text how I want it and then updating the style to match using the drop down to the right of the style in the style panel. I have logged the bug.